On 29 October 2018, Turkish President Recep Tayyip Erdoğan opened the new Istanbul Airport with a magnificent ceremony. After just 42 months of construction time, the airport which is destined to be the biggest airport in the world, became operational. 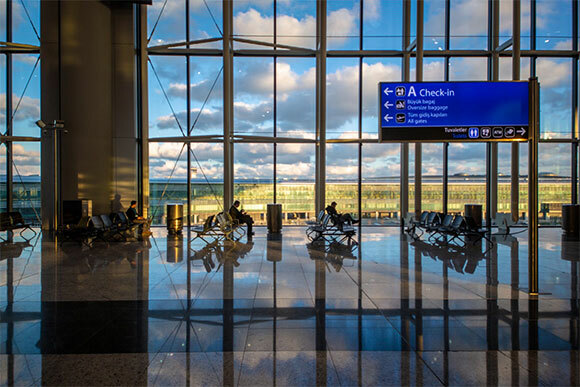 On 3 March 2019, the airport will become fully operational, replacing the current Istanbul Atatürk Airport, which will be closed for scheduled passenger flights. “We are all ready for the occasion,” stresses Kadri Samsunlu, Chief Executive Officer of İGA Airport Operations. 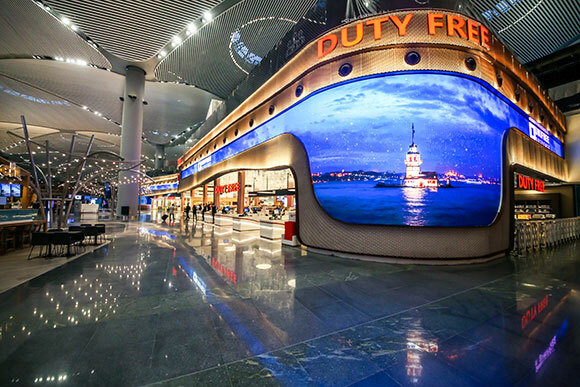 The second phase of the 53,000sqm duty free zone at Istanbul Airport was opened on 15 January with five new shops, making it one of the world’s biggest travel retail areas. Over 1,000 domestic and international luxury brands are gathered under one roof, offering customers an unforgettable and extraordinary shopping experience. The stores will be operated by Unifree Dutyfree İşletmeciliği A.Ş. and its partner Gebr. Heinemann. “The Duty Free zone is the soul of Istanbul Airport,” said Kadri Samsunlu, Chief Executive Officer of İGA Airport Operations. A survey evaluating Istanbul Airport passenger satisfaction levels reveals that more than 90% of all domestic and international passengers are satisfied with the general services at Istanbul Airport. A total of 421 domestic and international passengers have been questioned for the survey, which also measured the passenger satisfaction with various services provided at Istanbul Airport, including security, information and check-in. 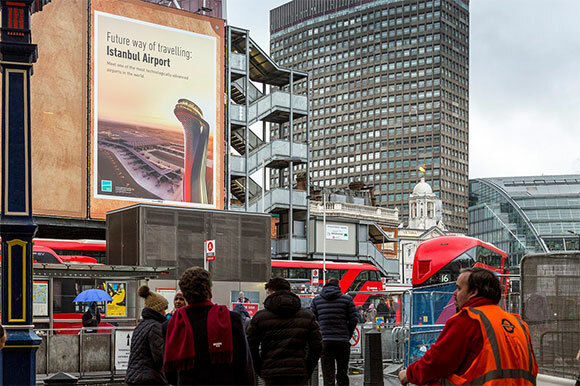 With an international advertisement and communication campaign, İGA has drawn a worldwide attention to the airport, from New York to London and Berlin. 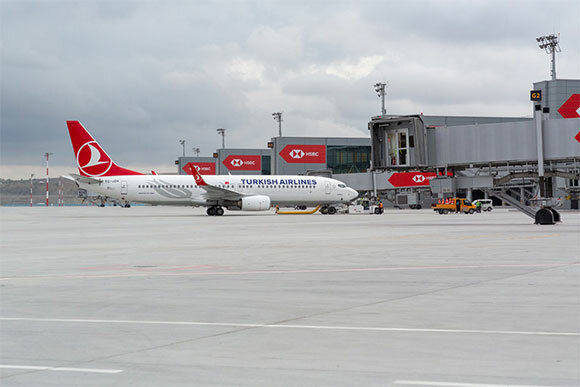 “Early this year we used three advertisements of which two were digital”, says Kadri Samsunlu, Chief Executive Officer of İGA Airport Operation. “We introduced the award-winning Air Traffic Control Tower, the terminal building and also Istanbul.” For the opening on October 29, 2018, full-page adverts in major international newspapers and magazines were published. As Istanbul Airport is becoming fully operational, Turkish Airlines is adding more routes to the airport’s network. Bilal Ekşi, General Manager of the national flag carrier, announced via Twitter the new international and domestic destinations. Passengers can now travel to Moscow, Frankfurt, Munich, Paris, Ashgabat, Tbilisi, Cyprus, Kuwait and Baku. The new domestic routes include Ankara, Izmir, Antalya, Adana, Trabzon, Gaziantep, Diyarbakır, Kayseri and Hatay. 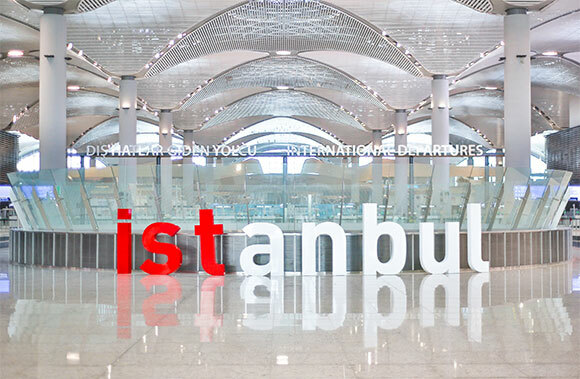 As a result, Istanbul Airport now has a total of 18 domestic and international destinations. The New Airport Show Istanbul, 18-20 June 2019, will celebrate the opening of the game-changing Istanbul Airport through a spectacular exhibition and high-calibre conference detailing how and why this hub has been built, and defining its centrally-strategic role in global aviation. Jointly partnered by İGA and Turkish Airlines, and DHMI, The New Airport Show Istanbul will be co-located with Future Travel Experience EMEA, the leading travel-tech event, at the downtown Istanbul Congress Center (ICC) and is expected to attract 2,000+ international visitors and 150+ exhibitors. Like It, Share It, Follow It! 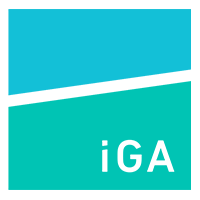 At İGA we are proud of what we are doing and we like to share what we are proud of. You can follow what we are doing on YouTube, Twitter, Instagram, LinkedIn, or Facebook – see films explaining what we do and watch Istanbul New Airport grow.